Of the many cities that I have lived in my 30 years, Athens was by far the oldest and most curious. Over a decade and a half ago, I called Greece home and like every other city I once called home, it held private etchings and stories of my childhood. 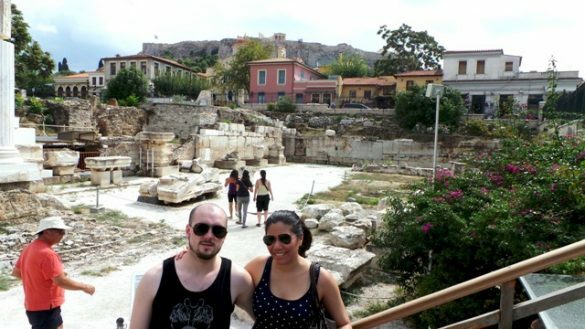 I remembered going on school excursions and trips to Athens over the weekend with my parents. I remembered the drive up from Glyfada and I remembered ordinary streets and junctions. It was a strange and surreal experience going back to a place feeling like a tourist yet so familiar at the same time. One of the more simple surprises was the presence of metros and trams! I know it sounds a bit silly to be excited by public transport, but there definitely weren’t any of these things in the 90s when the only way to travel was by car! The trams didn’t seem too useful to anyone, but having a metro run through Athens is dead useful if you need to get across the city stress­free. What surprised me most of all was that in spite of brands like H&M, Zara and Pull & Bear having been newly plopped around the city, much of Athens remained as how I remembered it. Being away from anywhere that long you might expect to find the place has changed, perhaps been jazzed up by a multitude of tall buildings made of glass and steel. But I suppose a city of Athens consequence will always preserved its raw impassiveness, unfazed by time and exuding distinction no matter how many Starbucks’ you throw at it. That being said, Athens is far from unfeeling. It is a warm and inviting city, characterized by its people and weather. A smile isn’t hard to come by and the unending chatter of vendors claiming their product is far superior to the identical product their neighbour is selling keeps the vibrant tempo of the city upbeat and cheeky. Given the shortness of our trip, we only had an afternoon in Athens. 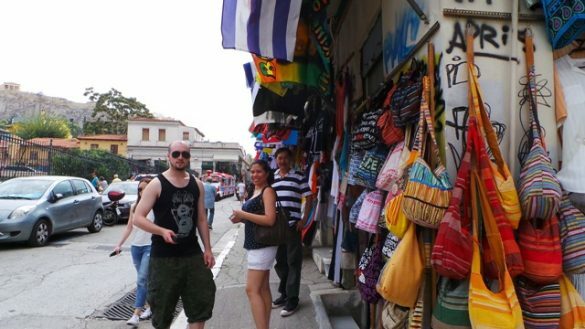 Plaka was still as crowded as ever and its streets still picturesque, full of plates, statues and trinkets honouring the gods of the ancients. 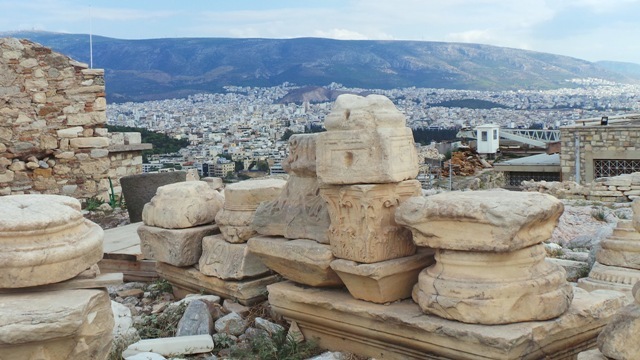 And there, looming in the backdrop is the Acropolis. So with our wallets stuffed tightly away from opportunistic pickpockets, we wandered about the city. We stopped for lunch at the well­ known kebab restaurant, Thanasis. I’ll admit I was a bit put off by touting waiters from nearby restaurants pacing the stretch, reminding me of aggressive Singapore and Thai waiters promoting overpriced and mediocre restaurants. I’m not sure if these waiters were from Thanasis but they were heckling mighty close to it. However, Thanasis’ strong recommendations by our local friend, my mother and my sister helped us ignore the wailings of these enthusiastic restauranteurs. And we were not disappointed ­ far from it in fact. The kebabs there are fantastic, aromatic and juicy. I ordered a half portion with a shared side of fries and Greek salad. 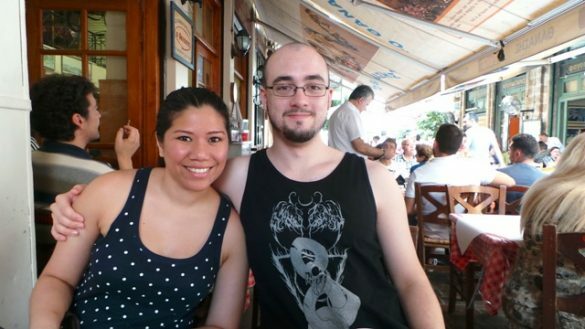 By the way, “half portion” is easily ample for a meal ­ throughout our stay in Athens and its surrounding areas we were treated to vast portions at extremely reasonable prices. The meat was incredibly tasty and it melted together with the various flavours of the salads making each bite better than the last. 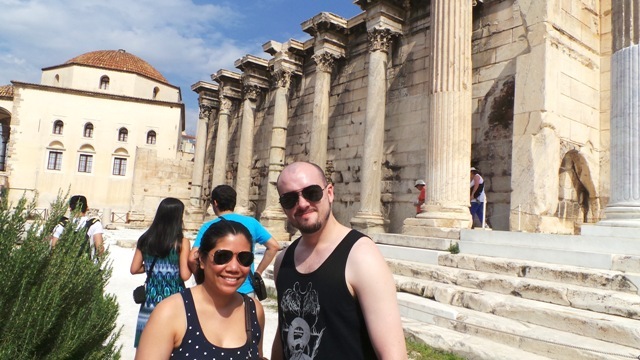 We walked past the Library of Hadrian, pausing only for a photo due to our time constraints. 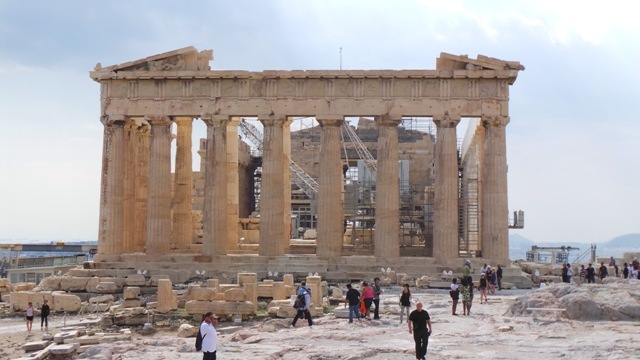 The Greek tourism board has definitely been working hard for Athens over the years, as more historical sites are being opened and redone, making the city a lot prettier and cleaner than I remember. 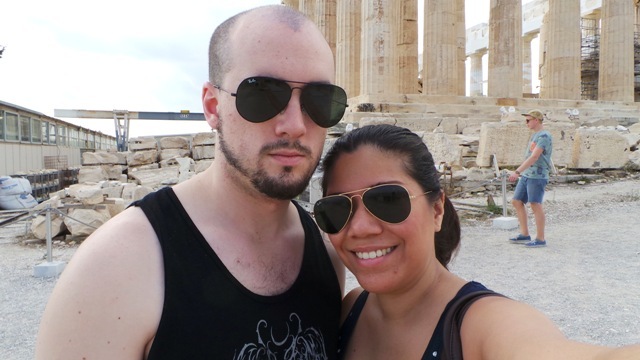 This was my husband’s first trip to Greece, and since he had been enamoured by Greek mythology as a child, I had to make sure he visited the Acropolis. So leaving the vestiges of Plaka, we began our ascent from the back of the hill, strolling past quaint cafes filled with chatting friends, romancing couples and exhausted tourists. Another surprise was that we had to pay to enter the grounds considering it was free before, but I suppose that was to be expected with Greece’s rising popularity as a great holiday destination. After parting with EUR12 each, we began the gradual climb to the top. Don’t be intimidated by the climb up, it’s not as strenuous as it looks and definitely worth your while. I would recommend using the entrance closes to Plaka, like we did. It is a more gradual climb, isn’t as crowded and offers a much prettier view. Just a short way up the hill, you come across the ruins of a church with a perfectly preserved archway. 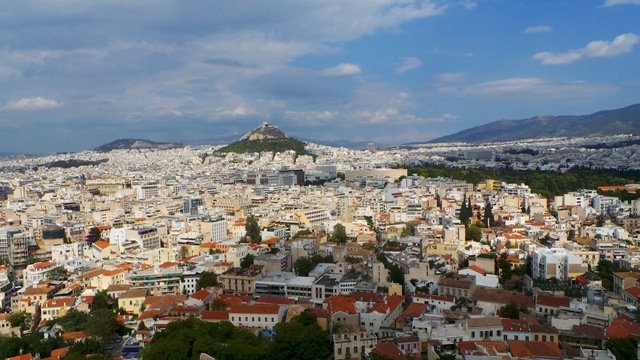 As you continue your climb, the city of Athens suddenly sprawls out below you. The vastness of Athens always has amazed me and it always will. The higher you get, the more breathtaking the city becomes, gently outlined by the mountains and ending only where the sea begins. Keep your ticket handy because you will be asked to show it at several security booths scattered around the hill. I found September the perfect time to visit Greece, because the crowds have thinned out and the weather is much cooler. 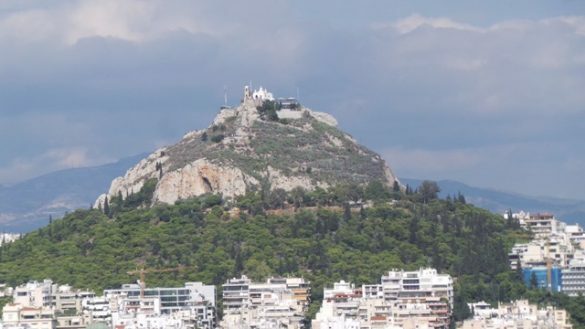 However, remember to bring a bottle of water up to the Acropolis with you because chances are you will start to feel thirsty once you reach the top and there aren’t any kiosks or shops for you to buy a drink. 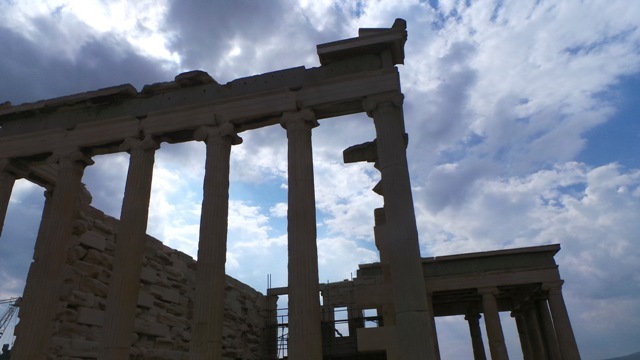 Despite the construction work, you can still appreciate the superb architecture behind the ruins of theParthenon. 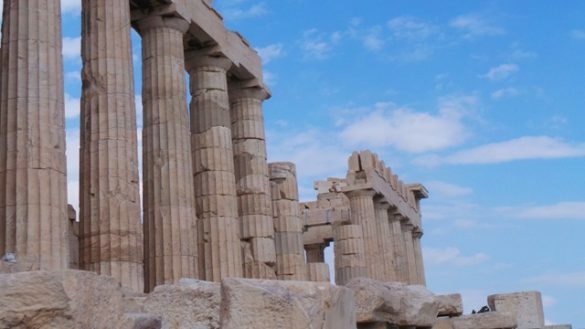 The freedom to wander around is a little more restricted as compared to my many previous trips as a child, but you can still appreciate much of the exterior, especially the rims of the Parthenon walls which still have magnificently preserved engravings. We spent about an hour ambling around the historic site, reading plaques, watching people take selfies and taking a couple of selfies ourselves. 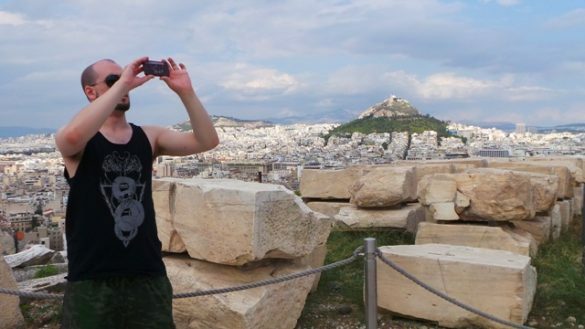 For me, the best bit was soaking in the stunning view of Athens. 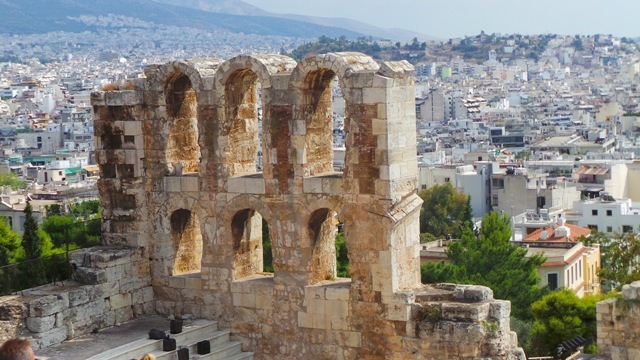 The panoramic views engulfing the Acropolis could have held me captive for hours. Perhaps the entry fee has served a good purpose because the ruins, which once served as a canvas for the aspiring graffiti artist, have been stripped off all profanities and poor handwriting, restoring much of the buildings’ dignity. It was a quick climb down and we found ourselves back in the heart of the city once again. We walked towards Omonia where we stopped at a cafe right by the metro for a coffee before making our way back towards Glyfada on the metro. Unfortunately, we only got to visit Athens’ most famous site, leaving many hidden gems unlocked. The city definitely deserves more than an afternoon for those eager to discover many of its secrets. I had a wonderful time there and I hope to be back soon, exploring the museums and the rest of the city. As to why I find Athens curious? I would credit its unique character, because although it is a little more rugged, chaotic and devil­may­care than its younger, silkier counterparts Rome, Paris or London, it finds a way to bind itself to those that behold it, as it has done in the past and will continue to do in the future. You guys certainly saw the best Athens can offer. Next time try visiting hip urban areas, starting with Kolonaki and ending at Exarcheia, or if you can go further try the city’s posh area, Kifissia. Athens also has amazing coastline so do try one of the seaside cafes you ‘ll find along the tramline on the way to Glyfada!